Jacob Wins Scholarship With Hathorn! Congratulations to Jacob Butchko, high school senior and active member of our Living History group, on winning the Albert Wisner Public Library Foundation’s 2018 Scholarship Essay competition. Guess what topic he chose to highlight? 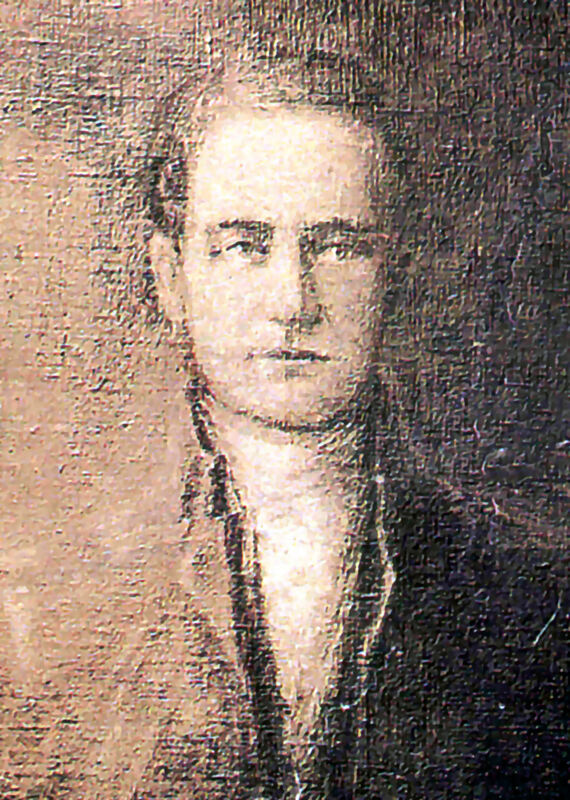 Gen. John Hathorn and the Friends of Hathorn House! One of Warwick’s sheep has literally given the coat off her back to support the Friends of Hathorn House educational programs. Delphi, or “Forty Six” as she is officially known, was happy to help out a good cause. 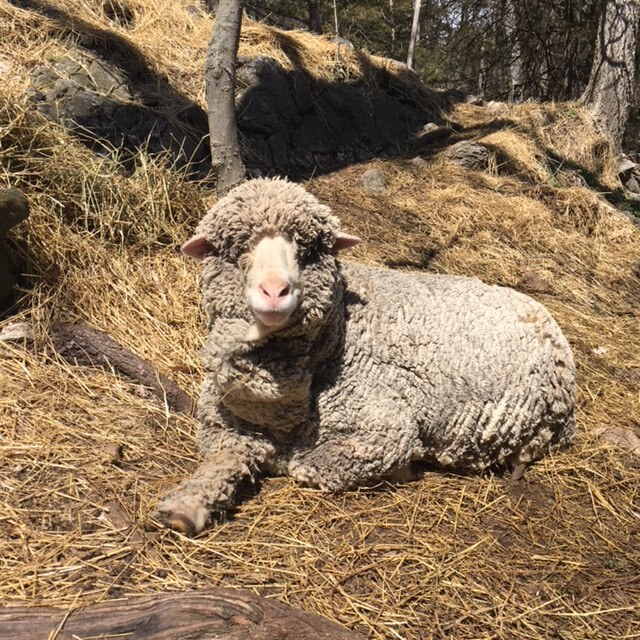 “Forty Six” is a Saxon Merino sheep enjoying relaxing with Herman after retiring in 2017 from the Catskill Merino Sheep Farm, a successful wool farm nearby. While she was working, the ewe also produced several sets of twin lambs and has always been a very special sheep, Herman notes. A video of the shearing has been posted on the Friends YouTube channel so all can enjoy seeing Forty Six’s “spa day” with Aaron Loux of Aaron’s Shearing. He carefully removed the fleece while the ewe relaxed, having been through the painless “haircut” many times before. The Friends of Hathorn House is a historical society dedicated to honoring Warwick’s Revolutionary War legacy. To learn more visit the group’s website at hathornhouse.wordpress.com or email hathornhouse@gmail.com. We have a busy season ahead of studying and sharing our Rev War history! Here is the current calendar— check with us to confirm if you are planning on attending, as things may shift depending on weather, etc. Email hathornhouse@gmail.com to confirm. Rain location for Monday meetings at Wickham Lake is the covered picnic area of Wickham Woodlands Manor (see map below for meeting locations within the park). May 16 & 17 (W/Th) EVENT: Support for Fourth Grade Tours (12:15-1:15, Lewis Park) free lunch; in coop. with Warwick HS. Rain date May 18. 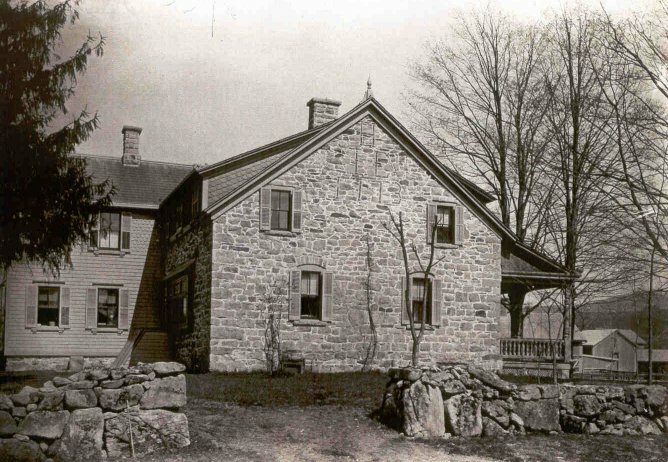 June 30 (Saturday) EVENT: New Milford Patriot Day, New Milford Historical Society Museum. Time: 12-2. Not an official FOHH event, but living history reenactors welcome to add “eye candy”. Contact Sue to confirm the event if you are coming.